This section contains the aim and scope of the journal, information about article types accepted by JTE, instructions for preparation, formatting and submitting articles for the journal as well as the editorial, review, and publishing policies of JTE. 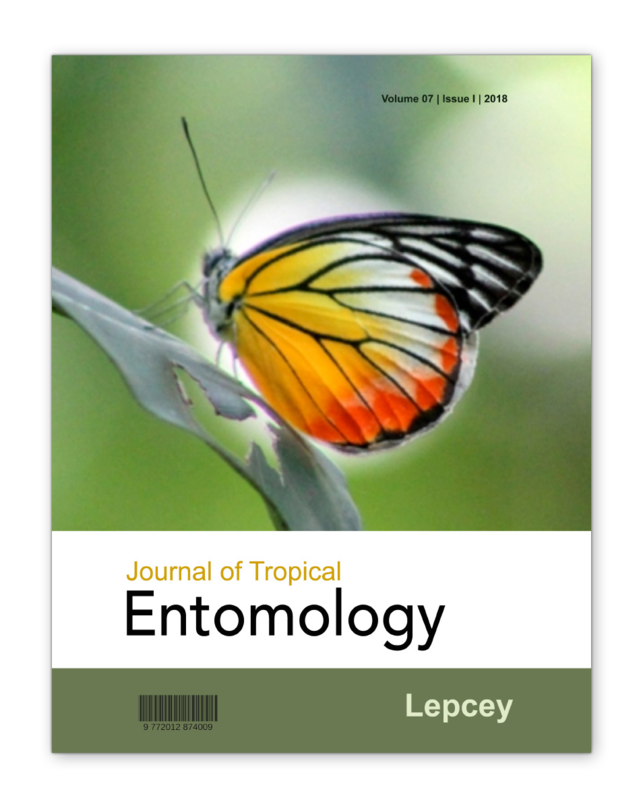 Journal of Tropical Entomology (J. Trop. Entomol) is a peer reviewed, open access journal published on a continuous publication model (papers are published as soon as they are accepted and ready). This journal has no article processing charges (APC) and free for both readers and authors. Aim of JTE is to accumulate the knowledge on tropical and sub-tropical insects, which is made available for free. Open access! No APC! Free! Research articles are papered reporting original empirical research based on experiments, observations and/or modelling. Methods articles that are also included in this category must carry results of case studies. Short communications are short articles that cover the same scope of the journal. Short communications should be similar to research articles with all the sections briefer. Short communications are dedicated for rare or important preliminary findings, “Negative” results, new ideas or any findings that does not make a regular paper but important to be published. Reviews articles should be analytical and report the up to date knowledge of an specific field in well-structured and concise manner pointing out knowledge gaps and future research directions. Tables, figures, flowcharts and text boxes should be used to structure and clear concise presentation. For example, highlights of the review or future research directions can be included in a text box. Unless testing specific hypotheses, meta-analysis will also be considered as reviews. Review articles should have an abstract, introduction/background, methods (if applicable) other heading and sub headings and conclusion(s). However, authors are free to use preferred style of structure and such style should be discussed with editor after submission. Mini-reviews are reporting highly specific areas with limited knowledge, neglected important topics, emerging interdisciplinary subject area or recent advances of specific topic. Mini review contains no abstract, the first paragraph should summarise the content and include a brief introduction to the topic. Rest of the body may contain up to five sub headings with conclusion(s) at the end. Checklists are special feature published by the journal. This category includes (1) Species checklists of taxonomic/nomenclature updates (2) in protected areas, agro forests or even in residential or urban areas with sufficient description of location, habitat types, conservation status and other remarks; (3) List of pest/ pollinators or other economically important species of a certain country/region or of a certain crop; (4) List of crops attacked by certain economic pest or group of pests, list of host plants of certain herbivorous insects or list of plants pollinated by certain pollinator. (5) Any other checklist articles should be suggested to editor and check for the suitability to be published in the journal. Sciencetific notes on following areas including other topics relevant to the scope of the journal are welcome. Contributions should be in British or America English spellings and consistency must be maintained throughout the manuscript. Text should be double-spaced, left aligned, without footnotes, and with consecutive line numbers. Type of an article is decided by the contribution to the subject but not by the length of an article. Authors are advice to consult a recent issue of JTE for general style. Even if ethical approval is not required for certain (unregulated/invasive/pest) organisms, authors should include a clear statement and any effort to reduce the damage where relevance (for example, use and discard of laboratory mice, non-target effect of pest control experiments). This statement should be included in the method section. A cover letter that include following information should be submitted together with the article files. affiliation and contact information for the corresponding author, brief explanation why the work is considered suitable for JTE, suggested names and contact information for potential reviewers, any request to exclude certain referees, a statement to confirm manuscript is original, not previously published, and not under consideration elsewhere, and if previously published copyrighted material such as text; test; or portions of tests, tables, or figures are included in the manuscript, statement to confirm the required permissions are obtained, and information about any supplementary material for the online version of the article.